Women who are having difficulties conceiving are not alone. More than 7 million couples face some sort of fertility issue and must deal with the emotional, physical, and often financial ramifications. It can place tremendous stress on relationships with partners, family and friends. By reading this, you have an advantage. You are taking control of your fertility by examining your treatment options. The focus of this article is to help patients learn better ways of coping with infertility. There is no doubt that dealing with disappointment over not being able to conceive can take a massive emotional toll. It is common for many patients to become depressed and anxious during this process. The strain on a marriage and among family members sometimes becomes unbearable. Seeking counseling can help prospective parents through the emotional rollercoaster that often accompanies fertility treatment. Here are some helpful coping strategies to consider. Technology changes quickly these days, so it is helpful to be on top of all the newest treatment types. Do some research yourself, or ask your fertility specialist to answer any questions you may have. Support yourself and your partner as this can be a most stressful time. Exercise, eat healthily, find time to relax and decompress—maybe a massage or some other indulgent treatment—meditate or utilize whatever types of activities that bring you comfort and ease stress. It can be easy to play the blame game, so be mindful of any negative thought processes about your partner and communicate with one another in a non-critical manner. Typically, when you don’t express your feelings, they tend to come out in another way. Arguments, snapping at one another, isolating or avoiding may occur due to lack of healthy expression of feelings. Being aware of this and taking extra time to give love and support to one another is crucial. It’s important to maintain a positive outlook while managing your expectations. Luckily you are either researching or actively seeking treatment with a fertility center that has some of the highest success rates in the country. An optimistic approach to a realistic solution is a healthy aspiration for any prospective parent. If attending baby showers or baby birthday parties is too difficult for you at this time, acknowledge this and respectfully decline as you need to. Seek couples or individual counseling if feelings of anxiety or depression are overwhelming. Professional help can reaffirm the confidence and honesty that can help you against almost any situation. You might be feeling any of the following symptoms of anxiety: overwhelming stress, heightened fears, dizziness, heart palpitations, chest pain, constant worrying, feeling unable to take action or control, and difficulty functioning due to these symptoms. You might want to consider professional help if you are feeling any of the following symptoms of depression: changes in appetite or sleeping patterns, loss of interest in usual activities, difficulty thinking of anything other than one’s infertility, feeling hopeless and helpless, fleeting thoughts of death and dying, difficulty making decisions, feelings of isolation and loneliness. It’s important to learn how to take care of yourself. One of the most challenging aspects of advanced fertility treatment is dealing with the emotional ups and downs. Participating in therapy can help you manage your emotions and provide patients the necessary coping skills. Whether through family, friends, or professionals, make sure and get the support you need. 请于下方输入验证码* 9 + 3 = ? 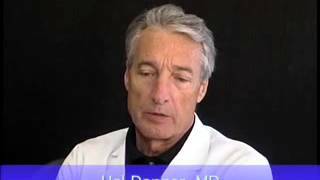 Fertility specialist Dr. Hal Danzer discusses how couples can overcome the realization that they are infertile. Dr. Danzer is the co-founder of Southern California Reproductive Center in Beverly Hills.